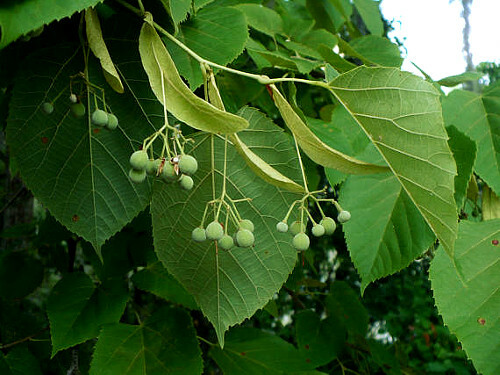 Linden Trees are a common site in Monroe County NY, and they can grow tall and wide with 2 or 3 main trunks. When Linden Trees grow too close to a home or office building, it is often necessary to remove one or all of the main trunks. 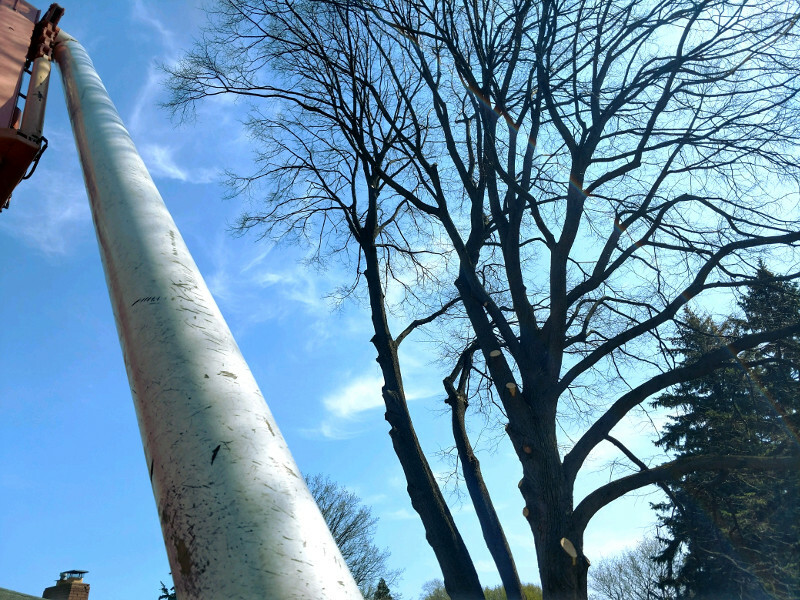 Such is the case for a recent Linden Tree Removal job that ArborScaper Tree & Landscape was contracted to conduct this past week. With 24 years of Tree Service experience, owner and operator Steve Smith is well known to home owners in Webster, Irondequoit, Greece, Henrietta, Penfield, Fairport, and throughout the greater Rochester region. The residents of Monroe County know who to call for their Tree Service needs. Several weeks ago, ArborScaper Tree Service was called to a home that had just had new vinyl siding installed. The home owner was concerned, because the Linden Tree that grew just 25 feet away from the front of the house had two main trunks leaning toward the home. The Linden Tree had grown quite tall at about 75 feet and towered over the home. 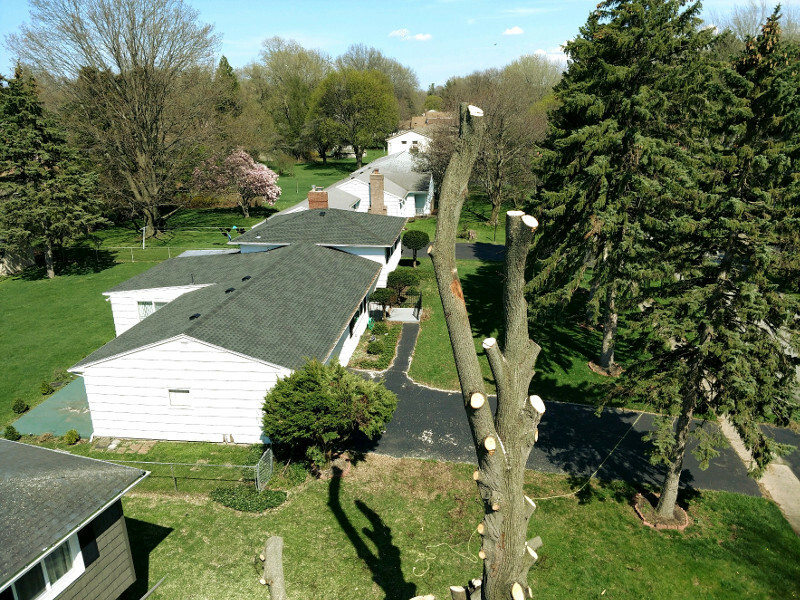 ArborScaper went onsite to discuss the options available to the home owner, and it was decided to remove the tree altogether. Steve scheduled his crew to remove the tree just a few days later. For many home owners, ArborScaper Tree & Landscape provides the best value for high quality Tree Services in Monroe County. 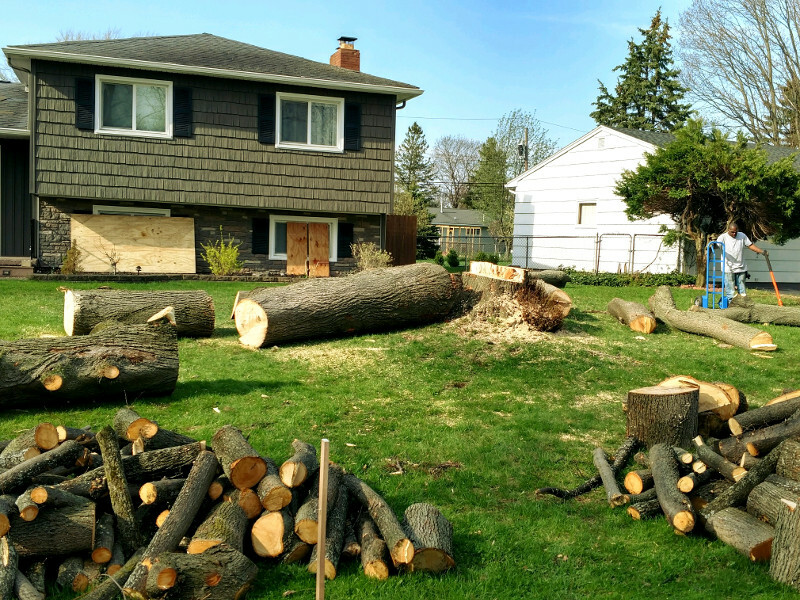 ArborScaper removes your problem tree completely, even providing Stump Grinding Services. Afterward, the ArborScaper crew cleans up the stump shavings and brings in new top soil, grading the site off and preparing for grass to be seeded. ArborScaper Tree & Landscape is your complete Tree Service Company in the Rochester region. From Tree Trimming & Pruning to Tree Removal & Stump Grinding. The company also provides Landscaping Services to meet every customer’s specific needs. Contact ArborScaper today at (585) 413-1388 or by email at treesmith5@rochester.rr.com. ArborScaper provides Free Estimates within Monroe County, NY.